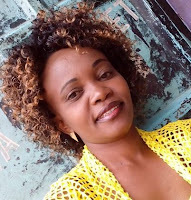 Wednesday February 13, 2019 - Detectives from the Directorate of Criminal Investigations (DCI) are pursuing some crucial leads over the controversial death of human rights activist, Caroline Mwatha. According to sources at DCI, a love triangle and an illegal abortion led to the death of the activist. Detectives believe that Caroline Mwatha may have been romantically involved with one Alexander Gitau Gikonya, who works in Isiolo County, as her real husband, Joshua Ochieng', was busy doing business in Dubai. “DCI officers launched investigations and it was established that she was in constant communication with one Alexander Gitau Gikonya who is known to be working in Isiolo County," the DCI noted. Gikonyo is also believed to have impregnated her - no wonder he paid her to procure an illegal abortion that led to her untimely death. She was five months pregnant before she died during the botched abortion.